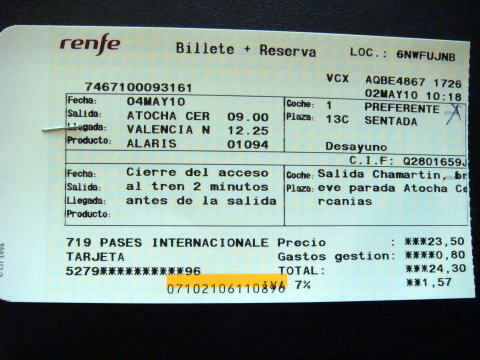 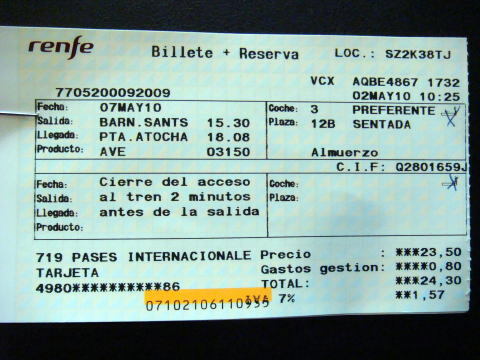 to other non-long-distance Renfe services. 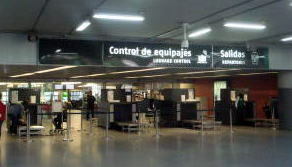 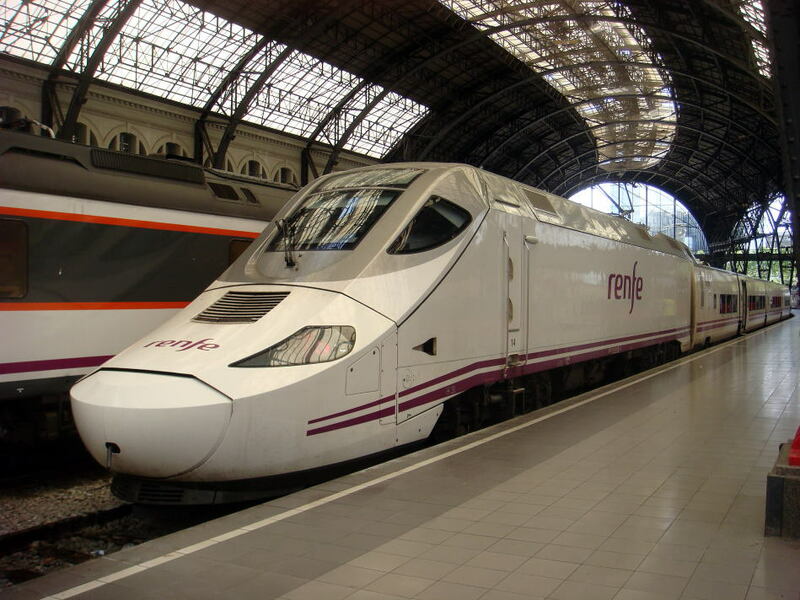 Madrid-Barcelona-Lyon-Paris service might be in operation by the late 2012.
with the guard of electric token systems to avoid the incident. 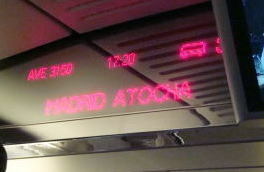 300Km/h and the shortest journey time is 2 hours 38 minutes. 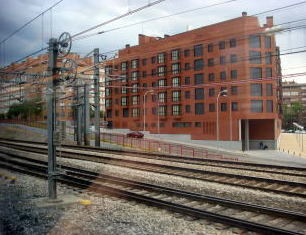 in that the plateform with a gentle curve and an attractive glass roof top. 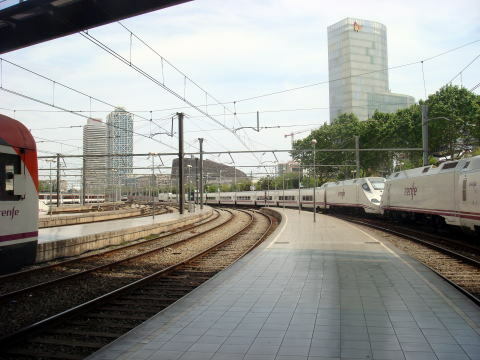 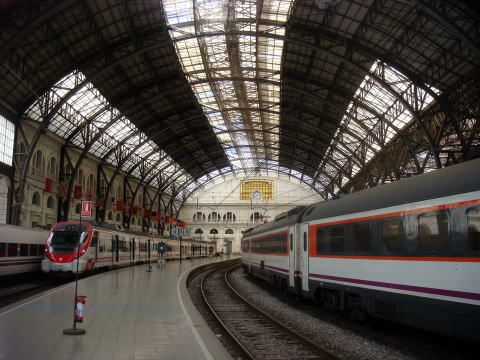 Renfe commuter trains are waiting for departure at curved plateform of the Barcelona Franca Station. 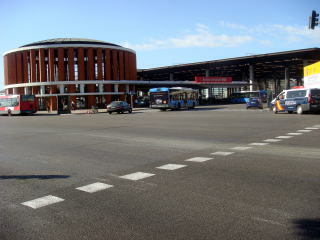 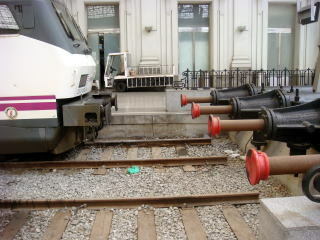 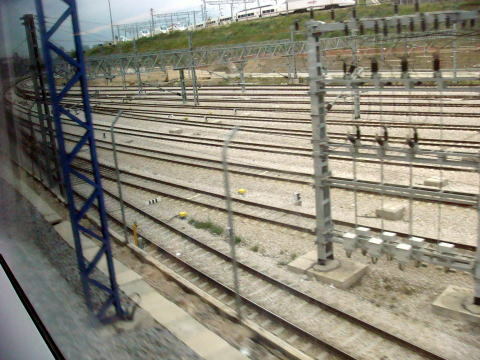 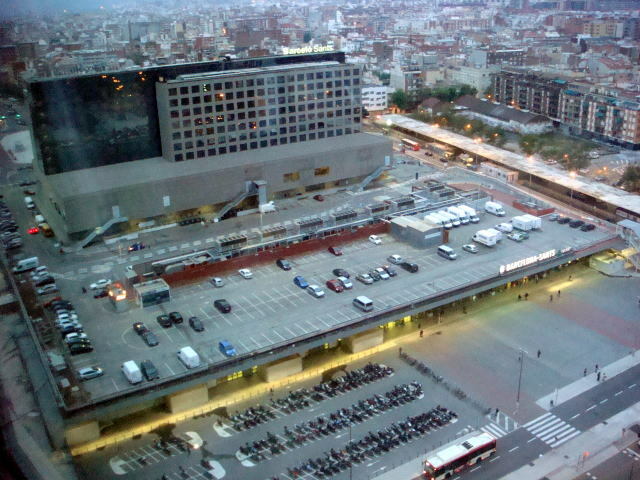 (L) The plateform of the Barcelona Franca Station (R) A shock absorber to use most of the collision energy at the terminal station. 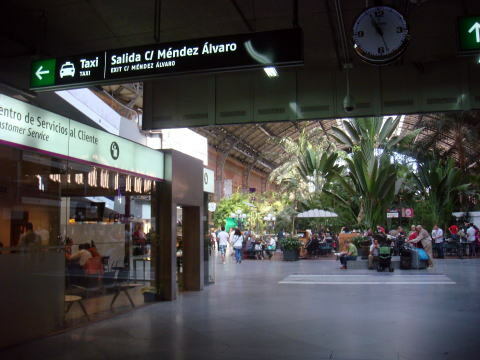 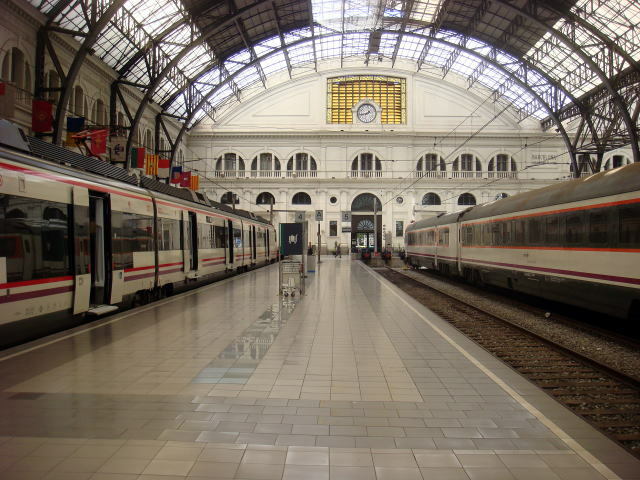 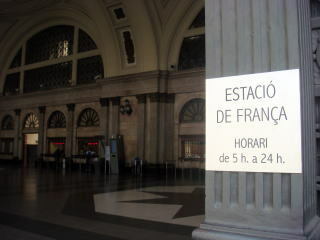 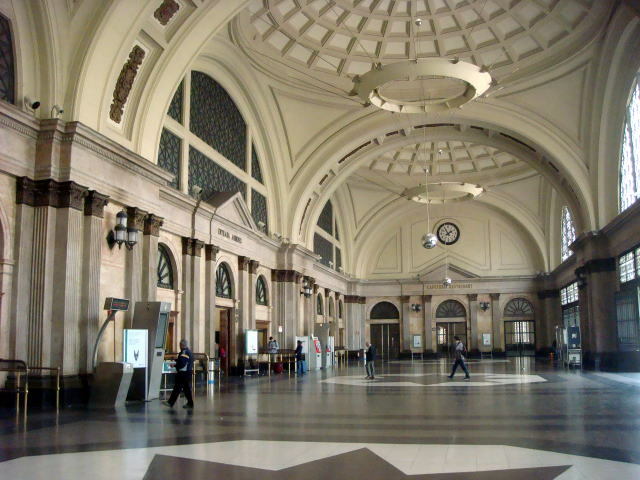 Station hall and the sign board of Estacio de Franca Photographed in May, 2010.
the Spanish high-speed train AVE in the city, which started serving the city in February 2008. 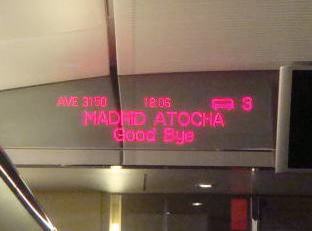 (L) An electric sign board, showing that this train is for Madrid Atocha (M) A meal tray served in the preference-class train to Madrid. 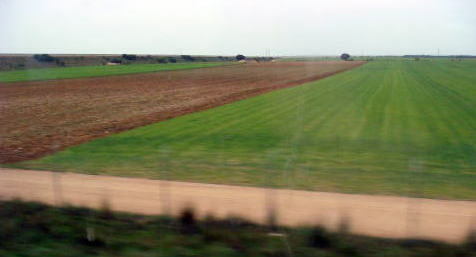 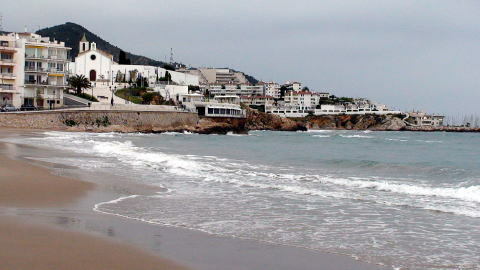 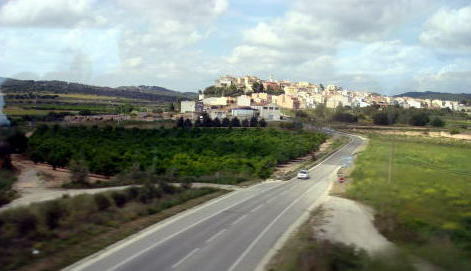 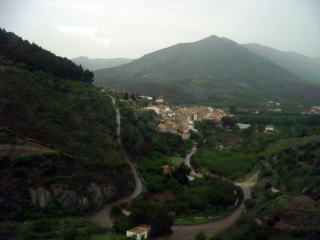 A rich firm land and Spanish old town viewed from the high-speed train window. 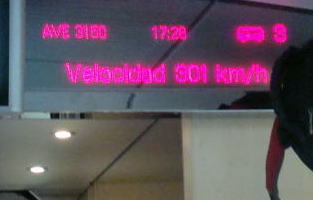 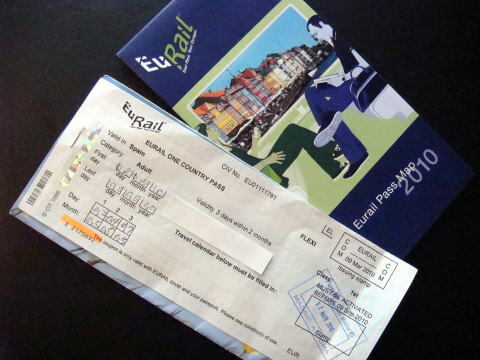 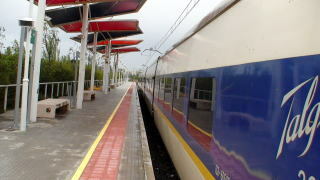 (L) The maximum train speed exceeded 300kms/h. 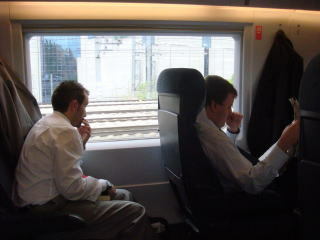 (M) Many business travelers use the preference class of this high-speed train. 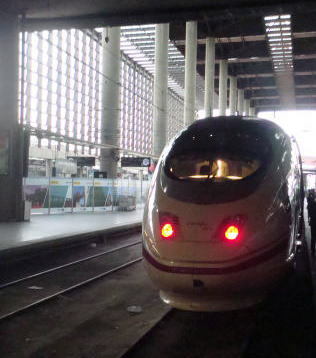 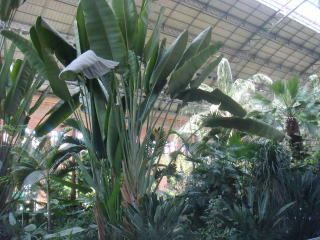 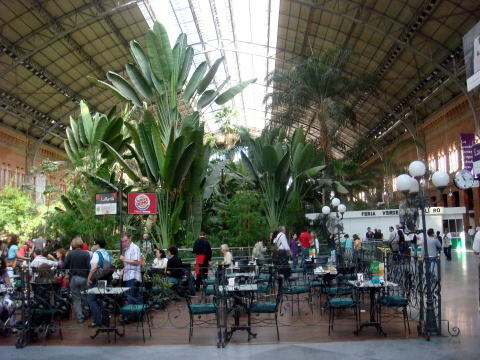 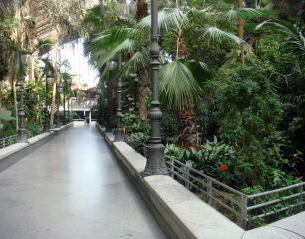 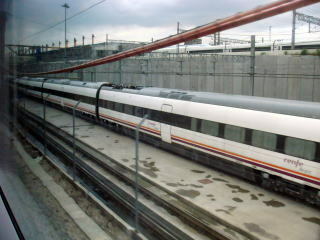 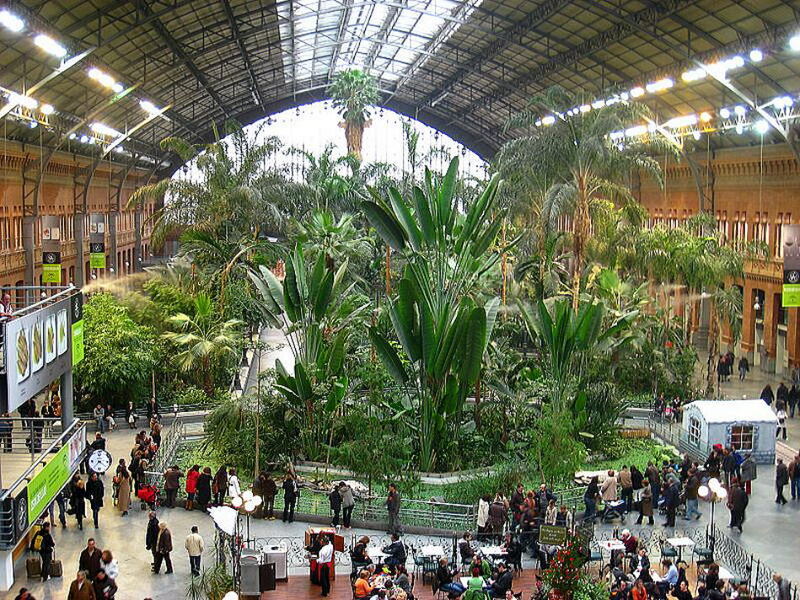 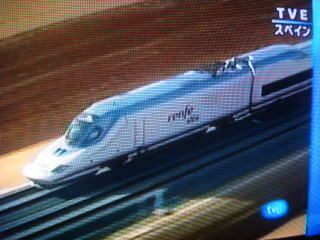 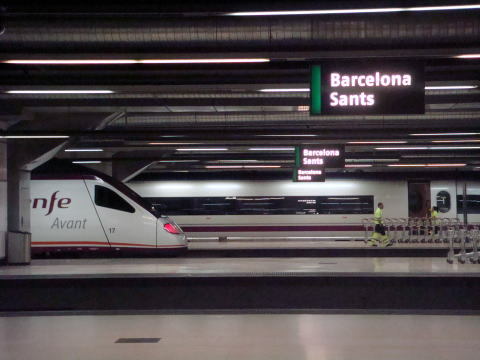 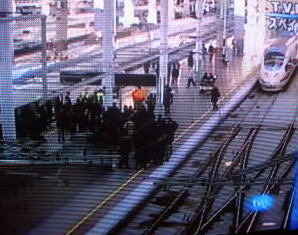 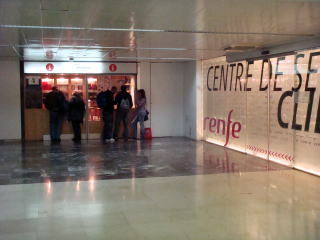 The Renfe's high-speed train, now, arrived at the Madrid Atocha station. 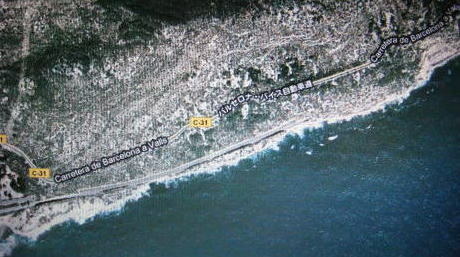 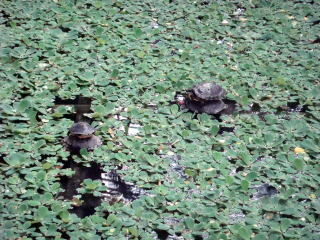 of 391 kms, with the average speed of 246 kms/h. 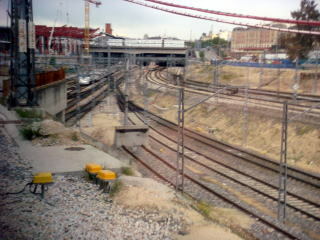 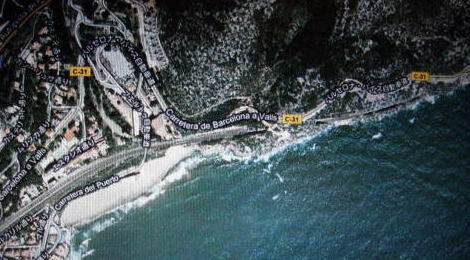 The construction fee was about sixty hundred million Euros. 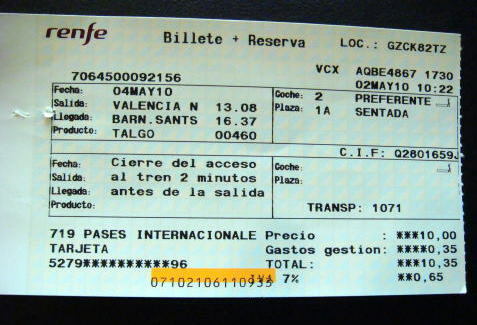 on December 15, 2010. 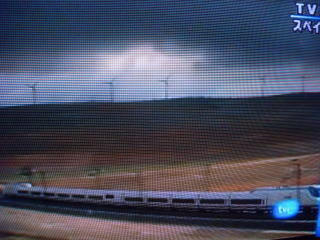 High-speed train, Renfe Clase, departed from Atocha station runs behind a wind turbine in the hill. 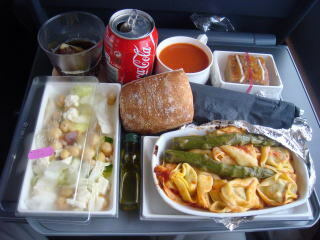 and revised in December 2010, by Dr. Miyamoto.